The ‘Ask Toolbar’ is a swear word in my office this morning, I noticed it in my “Add Remove Programs” today, and it refused to be removed. All Chrome browser windows should be closed in order to complete the uninstallation. 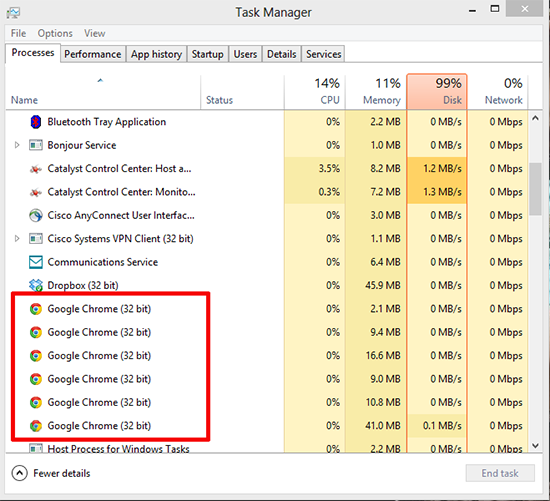 Please close all Chrome bowser windows. 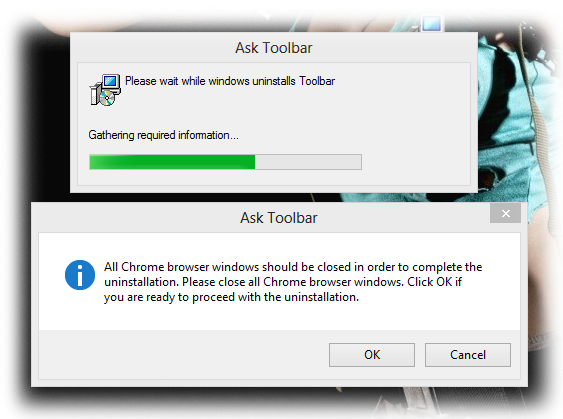 Click OK if you are ready to proceed with the uninstallation. Well there were no Chrome windows open, (so I thought). I tried to use a software uninstaller and it stopped in the same place. 1. Right click the task-bar an launch ‘Task Manager’. 2. 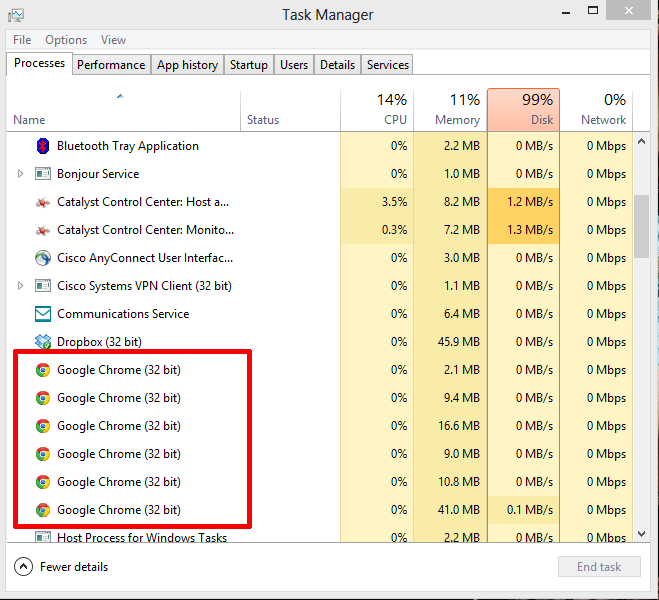 Scroll down and locate any Google Chrome processes, right click and ‘End Task’ for each one. 3. 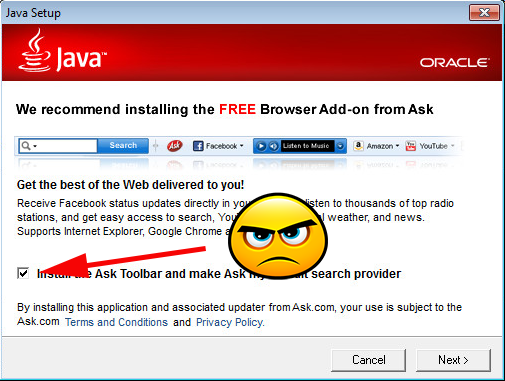 Attempt to remove the Ask Toolbar again. <rant> If your wondering where it came from, it comes bundled with other products (like Adobe Flash). Annoyingly if you didn’t untick the option to install it, it will get installed. I think this is a very shabby approach. I fail to see the difference between this, and a piece of malware! I’m disappointed with Ask, and even more disappointed that a respected vendor like Adobe is pushing this down also. Their defence will be “But you only have to untick it if you don’t want it”, the point is, if I wanted it I’d go and install it!.